Much like Mr. Fantastic, the aptly named Invisible Woman is also in need of no introduction, being a founding member of the team's classic line-up. 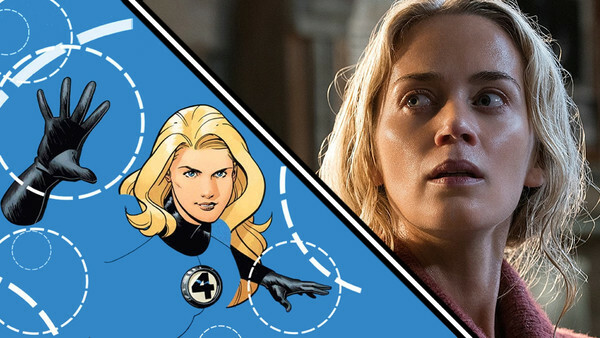 After Krasinski's announcement of his desire to play Richards, it was only a matter of time before his wife, the incredibly talented Emily Blunt, became the choice to play Sue Storm. With the actors being married and all, the dynamic between the two heroes would be pretty easy to replicate on-screen, as the question of whether the pair will have chemistry or not is answered already. Plus, much like Krasinski, Blunt doesn't exactly look dissimilar to the character of Sue Storm herself, making her well-suited in that regard also. Plus, she's already played the greatest superhero of them all, Mary Poppins, so this should be no challenge.